You’ve seen the movies, read the books or someone has told you about the existence of Ouija Boards. At first you wonder, then you get curious and at some point, you may even get the heebie-jeebies before you tell yourself, “No way, it’s not true.” Well, is it? It all depends. If you believe it is, then it most certainly is. If you don’t, then it’s not. Some people tend to use it as a fun game and some use it as a means of divination. How you use it, is up to you. 1 What Is a Ouija Board? 2 What Is the Ouija Board Used For? 3 Where Does the Ouija Board Come from? 4 Does the Ouija Board Really Tap into the Departed? A Ouija Board is a flat surface, usually made of wood, which includes all the letters of the alphabet from A to Z, the numbers from 0 to 9, and a “Yes” and “No” sign on either side, along with “Hello” and “Goodbye” usually featured on the lower half of the board. It also includes a dial or “planchette,” which is the tool that moves toward the letters or words. This is the basic structure of a Ouija Board and depending on where you get it, it may have more intricate symbols and characteristics. What Is the Ouija Board Used For? 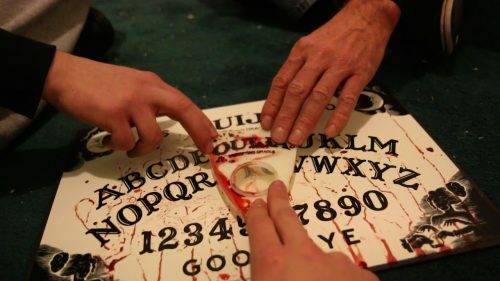 Many people have the belief that a Ouija Board is a method of communicating with those who have passed and are currently in the spirit world. The Ouija Board can be seen as a symbol of divination and it isn’t usually well regarded by organized religions. In fact, some warn against the use of a Ouija Board. Where Does the Ouija Board Come from? 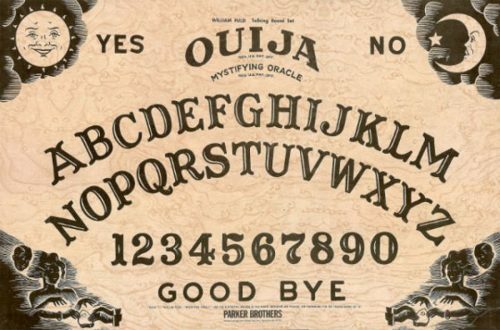 While we cannot find one specific country that claims the conception of the Ouija Board, we know that various forms of calling in the divine have been used for a long time. The human desire to know answers to the perplexing questions about existence have plagued our minds. From the Incas to the early Greeks, and to the ancient Chinese, we’ve been trying to communicate with “the other side”, not only to find out about them, but to figure out our own lives. Does the Ouija Board Really Tap into the Departed? This is open to what you believe. Some people would argue that it taps into our unconscious, not into the spiritual realm. Nothing about how the Ouija Board moves has been scientifically proven as of yet. Say hello by moving the planchette to “Hello,” if there is one on your board. Just like you wouldn’t walk into anyone’s house without greeting them, so it goes with a Ouija Board. If there’s no “Hello,” you can spell it out or say it aloud. Announce at this time that only positive entities are welcome to this séance. Ask your questions one at a time. Be patient in waiting for the answer. When they answer, don’t press too hard on the planchette. Let them guide it, but don’t let them take control. Find the balance. Let them know you’re thankful for their answer. They’ve shown up because you called. When you’re ready to end, thank them for being there, say goodbye by going to “Goodbye,” and remove your hands from the board. Using the Ouija Board is best with two or more people in attendance. Be sure not everyone speaks at once, however. We recommend one person be assigned as the speaker or “medium” of communication. You don’t want to confuse the entity who’s answering. Anyone can be the medium and there’s no special qualification. Get in the mindset: Whether you believe the Ouija Board will respond or not, the board may actually move on you. Know that this is a possibility and don’t be surprised when it does. Make sure you’re in an appropriate setting. It’s best to do this in a calm space, where the energy is peaceful and respectful. Light some candles and a little incense if you’d like to set even more of a special mood. We recommend not accessing the board while intoxicated. It can only exacerbate emotions when the board starts to answer. Place your fingers on the board and move the planchette purposefully. This way, you can get used to what it feels like when you move it, versus when “they” move it. Because Ouija Boards are used to connect with the beyond, be careful who you’re connecting to. Make it an absolute rule that only spirits of love and positivity can come into the room with you. Nothing or no one negative is welcome. Get comfortable. If you’re truly tapping into another realm, it’s likely the other side will notice your discomfort and won’t want to get close. We recommend sitting down on a comfortable chair, couch or pillow. Be sure you come up with good-natured questions. Keep them positive and be open to the response. Make having fun with this a priority. If you get a less-than-desired response from the board, don’t take it to heart and even (appropriately) close the séance if you get uncomfortable. Remember: Only you can create your reality and your life. The best recommendation we can give you is to keep it light and respectful. If you’re asking questions about when you’re going to die, or whether someone who’s really ill is going to make it, be careful. The human mind is susceptible to believing what we see. Because of this, when the planchette moves to either the yes or no position and you don’t like the answer, you’ll get stuck on that answer. What’s worse, even if that’s not what’s going to happen, you’ll make it your reality by being stuck on it. How many of you are in the room? Are you always with me? Did I know you while you were living? Were you alive during this century? Am I going to die before I’m 17? Am I going to be killed? Are my kids going to be OK? Is Sally going to die from her Cancer? Again, the human mind will construe anything we want to hear. If the rumor out there is true and the Ouija Board is tied to our own unconscious, then it might just be us answering from our own fear or expectation. Another recommendation we have is to keep it personal to you. Asking about someone else, especially something about death, crosses a boundary of privacy with that other person and their spiritual guides. Prying about someone else is no different with the living or with the departed. It’s not very polite and we stay away from it.